1. 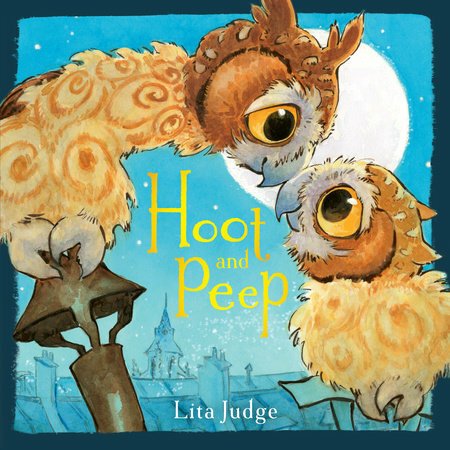 Hoot and Peep by Lita Judge. Exquisite illustrations reminiscent of Van Gogh’s Starry Night really make this picture book stand out as a gem. The story features a pompous older old brother who wants to share his owly wisdom with his little sister and doesn’t seem to appreciate his sister’s unique voice. When I shared it in storytime, I invited the children to “hoo” along with the owls, which ended up being a big hit! 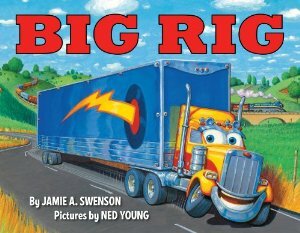 This book is a tad on the longer side, so it’s best to share it slightly older preschoolers, though the toddlers in my group enjoyed “hoo-ing” just as much as the older kids. 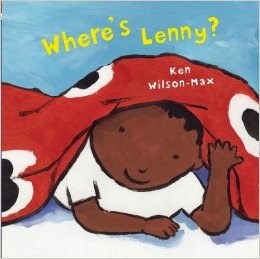 “Hoo-ing” aside, this is also a quieter book, best shared at the start of storytime before the wiggles really take over. 2. 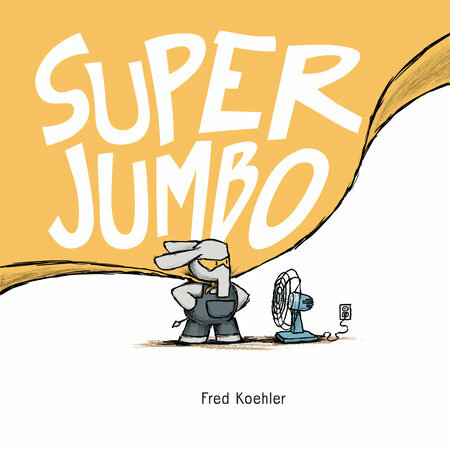 Super Jumbo by Fred Koehler. Every child dreams of being a super hero, and this picture book perfectly captures the imaginative ways children pretend to save the day. Prior to storytime, I enjoyed examining the pictures and got a chuckle over some of the details. 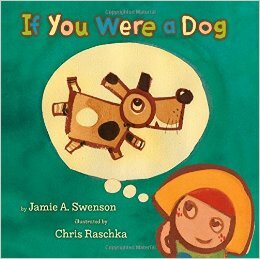 During storytime, I appreciated the spare text that makes this book great for sharing with wiggly kids and toddlers. 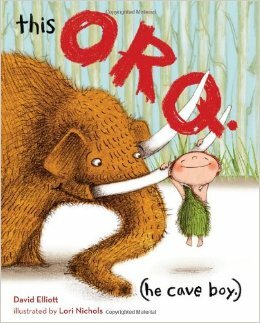 I also loved the opportunities for open-ended questions that this book presented. Examples include: “Who is he helping?”, “Do you think they want to be helped?”, and “What’s Super Jumbo’s greatest weakness?” The story ends with the message that helping a friend makes the world a little more super. This is an older one (copyright, 2015), but I didn’t get a chance to use it in storytime until recently because it had been so popular that it was almost constantly checked out! This is an interactive book in which you tilt and shake the book to make the bath water move. 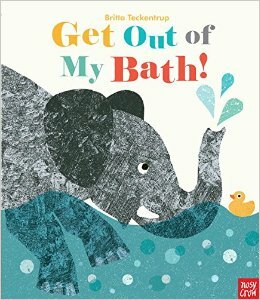 While I’m not thrilled with the way elephant asks the other animals to leave her bath (“Get out of my bath” just seems a little rude to me), the kids definitely enjoyed the story and parents wanted to check the book out after storytime. The illustrations are also cute, and the fact that this book is interactive and short makes it perfect for a wiggly crowd! I’m sure it’s a surprise to no one that a book by Il Sung Na is on this list. 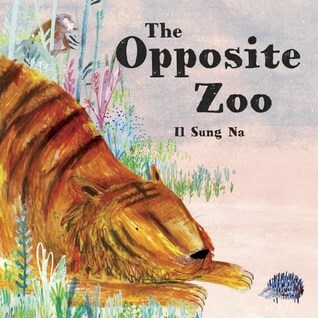 This book features Na’s whimsical artwork and also focuses on a favorite topic for the younger crowd: opposites! 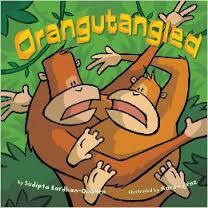 A monkey visits its neighbors in a zoo, and the readers are introduced to various opposites by the animals. Some are predictable: the sloth is slow, and the cheetah is fast. But other pairings are more imaginative. When I read this in a family storytime, the kids loved pointing out the various opposite pairs. 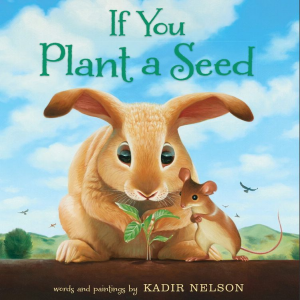 The short text and colorful illustrations makes this book perfect for a toddler storytime, but it works equally well for the slightly older crowd. 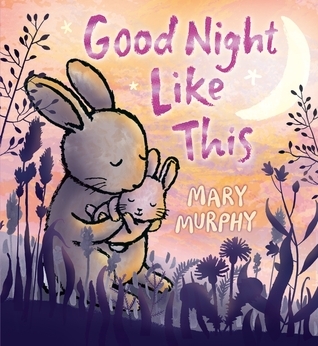 Pretty much everything by Mary Murphy is storytime gold, but I love this book in particular because of it’s twilight colors and the calming text. This is a perfect book calming down a hyper-active bunch (if they are able to be calmed down, that is), and it’s also great for a quieter bunch. 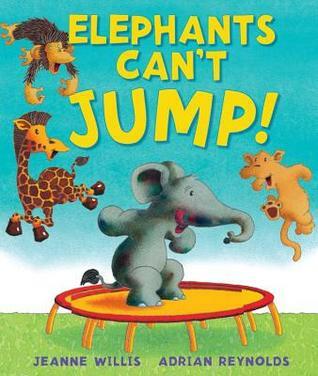 Perceptive children may even spot the silhouettes of animals telling others good night on each page. 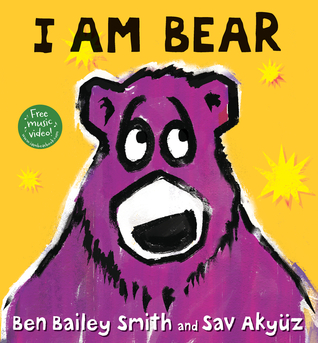 I gotta warn you, this book could wrinkle some parent noes over the fact that the bear starts out bare. I personally feel, however, that it’s a good opportunity to expand vocabulary and maybe talk about homophones (plus the kids will get a good laugh). Bare bears aside, this book is wonderful. Full of bright colors with only two sentences per spread, this could work very well for kids of all ages. There’s also an opportunity for a game of peek-a-boo, and who doesn’t love shouting out BOO in storytime? Okay, I haven’t actually tried it yet, but I have grand plans for this book in storytime. 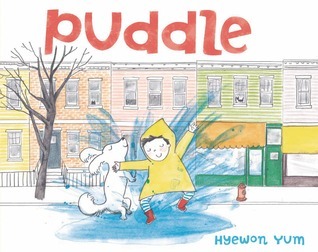 My plan involves paper, crayons, and having the kids draw their own version of puddles while I read the story. At the end, we’ll all stand up, put our puddles on the floor and jump in! Depending on the crowd, this could either be a great extension activity or a disaster. Still, I’m super excited to try something creative with this imaginative book! 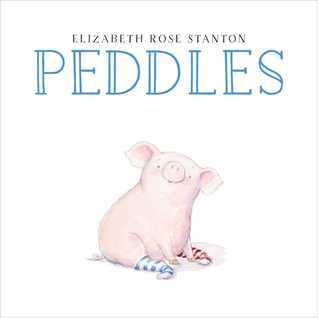 Speaking of imaginative stories, Peddles is about an adorable pig who thinks outside of the box. When Peddles discovers his love for dancing, he goes off to find some appropriate footwear. After a few unfortunate options (paint cans, flower pots, and even bee hives) Peddles finds a nice pair of red boots. Unfortunately, he finds it difficult to walk in said boots until he gets some help from his barnyard friends. Featuring pencil and watercolor illustrations and focusing on the themes of creativity and teamwork, this is a great one to share in storytime! I feel like I say this a lot — or, at least, I think it a lot — but this book is SO FRIGGIN’ CUTE! 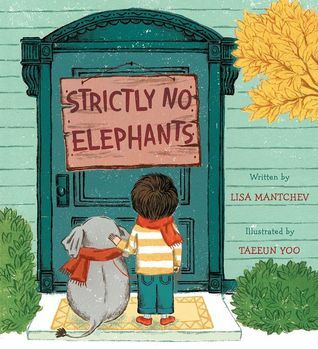 A little boy with a pet elephant is excluded from a pet club due to his unusual choice of pet. While this is very disheartening the boy eventually finds other children with weird pets and they start their own club. 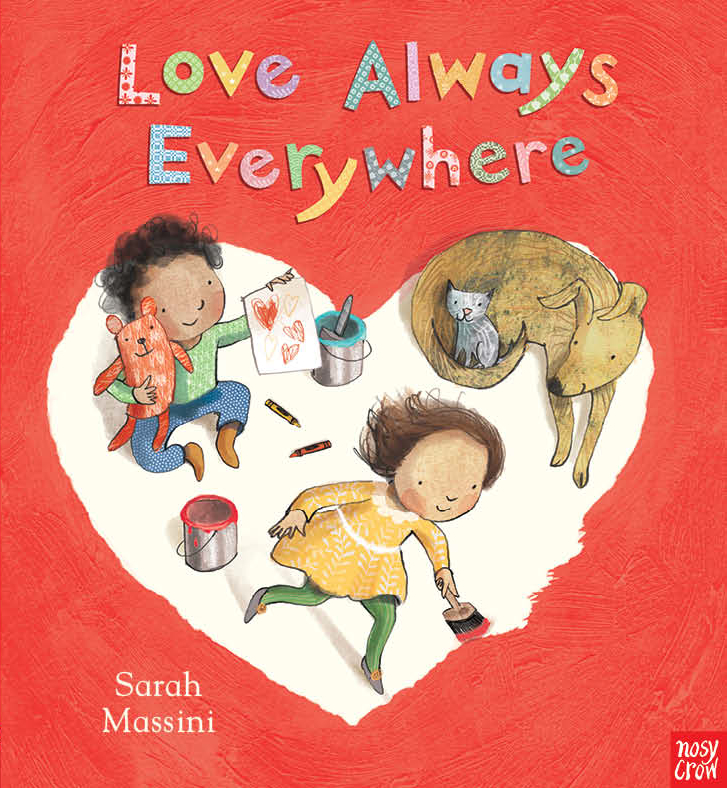 The illustrations are charming and the story could open up a great conversation about inclusion and treating others as you want to be treated. 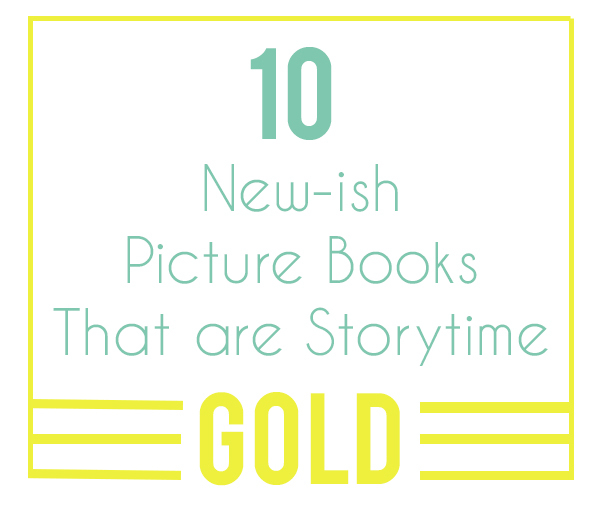 If that’s a little heavy-handed for your storytimes, you could also change the conversation to what kinds of unusual pets the kids would like to have and make a chart of their pets (unusual or otherwise) to add a STEM activity! Two hikers set out to meet the illusive yeti in this wonderful story. 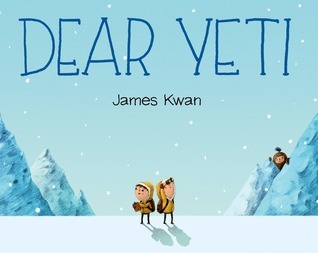 Told through a series of (storytime-short) letters to the yeti, we follow the hikers and see how the yeti watches over them on their trip. When a mean, old grizzly attacks, the gentle yeti saves that day using only words (no violence). The story ends with the hikers getting a letter back from the yeti. This is a sweet story to share with a storytime crowd. Okay, so this book actually came out in 2013, but it’s new to me. I’m already familiar with the rest of the series by Dodd (and particularly love I Am Small), but some how this one escaped my notice, which is a shame because I really love it and think it will do wonderfully for a baby or toddler storytime (or as a calm down book in Pre-K storytime). Overall I think most of the books in this series are saccarine sweet, to the point where I don’t want to share them in storytime. 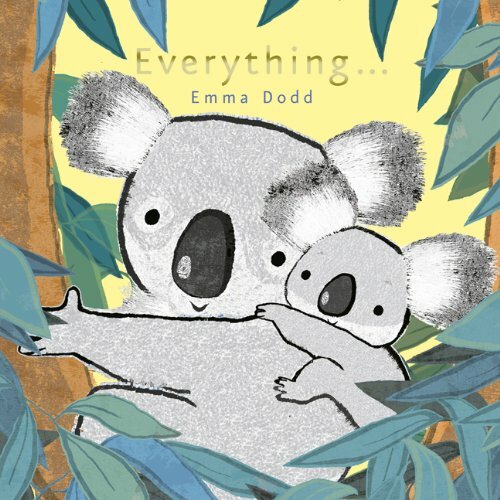 But this one, while sweet, isn’t overly so and features koalas, which are always popular in storytime. It’s also mildly interactive because kids can point out various body parts mentioned, and parents can give their kids hugs, cuddles, and kisses at the appropriate moments. This is, apparently, another new to me book that came out in 2013. In this story, a father and son play hide and seek. The illustrations, done in acrylics, feature a multiracial family and are colorful enough to draw attention, despite the book’s smaller size. There are also interactive features, such as counting and tickling. If you were a dog, what kind of dog would you be? Would you be a lickety-sloppidy, frisbee-catching dog, or would you howl at the moon. Some dogs do. This story has a very simple premise, asking readers to imagine what kind of dog, cat, fish, dinosaur, etc. they’d be. Again, there’s opportunities for interacting, such as howling at the moon, swimming with the fish, or stomping with the dinosaur. The illustrations were done by Chris Raschka, and the book was published in September 2014, and I just missed it because that is the theme of this post, apparently. 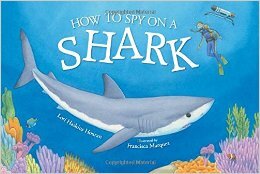 Told in a simple rhyme, this book follows a young mako shark around the ocean for a day. It shows how we can track sharks in the ocean by tagging them and having a robot follow them around. The back discusses why marine biologists spy on sharks and goes into more detail about the process. While the story and illustrations are very simple, I love the nonfiction spin on this and think it could be great to include in an ocean storytime. Also, it was published in 2015, so yay for that! 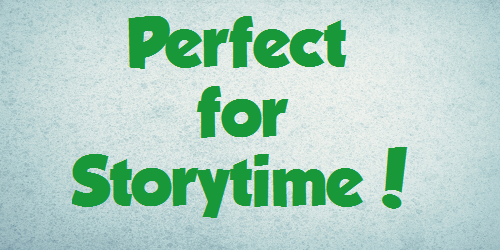 Perfect for Storytime: May Edition! 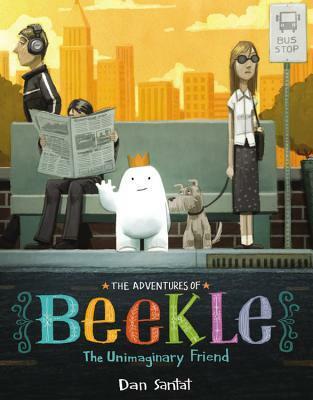 In this heartwarming story, Beekle is an unimaginary friend. He has waited his entire life for a child to imagine him, but hasn’t had any luck. So he does the unthinkable: He builds a ship and enters the real world. At first the real world is strange, drab, and gray. But when Beekle finally finds his friend, the real world turns out to be not so bad at all! 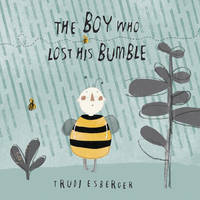 This story is wonderful and captures the imagination of a child beautifully. I’m especially enthralled by the illustrations and wouldn’t be surprised if it ends up being a Caldecott contender! When Destructosaurus comes to town, he causes all kinds of trouble! His tail topples building and bridges, and his feet track seaweed, and he burps fire! 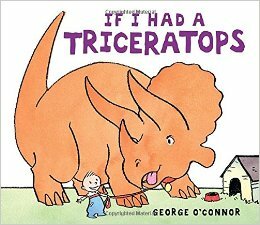 The narrator tries to calm Destructosaurus down by telling him to watch his manners, but Destructosaurus has other things on his mind — like finding his lost teddy bear. Once the bear is found and Destructosaurus gives us a big hug, he heads back out to sea, ignoring the narrator who tells him to help clean up. But, never fear, a giant chicken named King Kluck arrives just in time to help clean up (or, more accurately, cause more destruction). 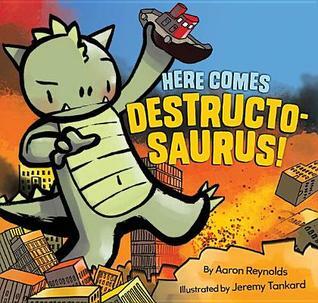 Jeremy Tankard’s digital illustrations are wonderful and eye catching, though I’m not so sure how parents will feel about the fact that Destructosaurus doesn’t learn his lesson. Kids, however, will find the ending humorous. This book has so many great things going for it! Rhyming text? Check! Animals? Check! Lift-the-flaps? Colorful illustrations? Humor? Check! Check! Check! 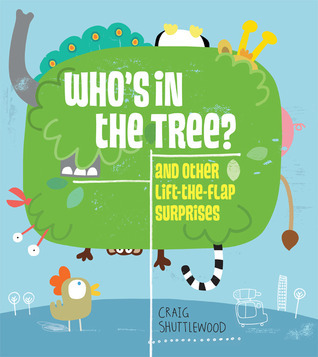 The text provides a clue as to who’s hiding, and each hiding animal is peeking out just a little bit, so that kids can guess who it is. However, some of the clues are pretty ambiguous, and some of the animals just aren’t peeking out enough for large storytime crowds to get a good look. Still, I think this has the potential to be a storytime favorite! I can also see a flannelboard being made from this! 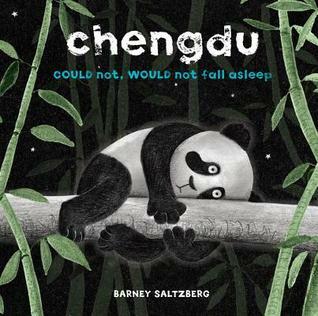 Chengdu is a panda bear who just cannot fall asleep. He tries tossing and turning and even hanging upside down to no avail. Finally he finds the perfect place to fall asleep — right on top of his brother. 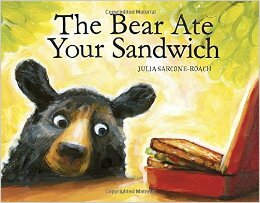 This silly story is a perfect addition to a panda, jungle, or bedtime storytime. With simple text, foldout pages (you’ll definitely want to practice this one before reading in front of a crowd…just so you know which pages are the foldouts), and illustrations done in black, white, and green, this book is sure to be a hit!